Eat high-fiber foods such as raisins, raw vegetables, salads, bran cereals, whole-grain bread and fresh fruit. 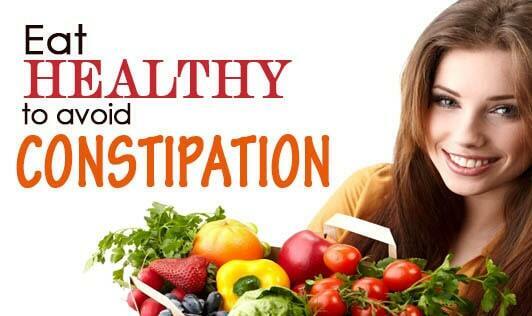 Eat oatmeal, applesauce, legumes (dried beans) and barley, to soften the stool. Flax meal can be purchased already ground. Or, you can buy the seeds and grind them yourself. Flax meal is a good source of natural fiber and health-promoting Omega-3 fatty acids. It can be stirred into or sprinkled on foods. Drink plenty of liquids—at least eight glasses a day. Water and herbal tea are best. Juices are not recommended, nor are caffeinated drinks, as your body can become dependent on these in the long run. Drink several cups of warm-to-hot liquid in the morning. Herbal teas or water work well. Do daily exercise, like a brisk half-hour walk. Visit the toilet for 15 minutes in the morning, even if you are unable to have a bowel movement. This relaxes and stimulates your digestive system. Sit quietly for 15 minutes after eating a meal to aid in digestion.